For a web-focused hardware history (pre-history? ): http://blog.frankmtaylor.com/2013/12/12/responsive-design-is-not-the-complete-answer/?goback=.gde_2071438_member_5823846935999561728#!. 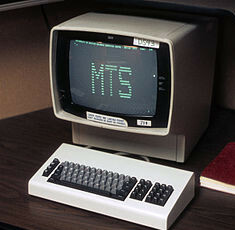 IBM 3277 "green screen" monitors: http://en.wikipedia.org/wiki/IBM_3270. 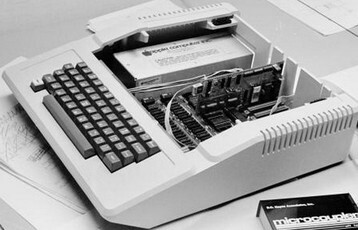 The Apple II personal computer: http://en.wikipedia.org/wiki/Apple_II. 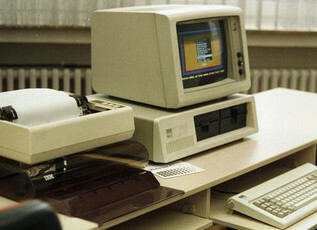 IBM PC (MDA and CGA): http://en.wikipedia.org/wiki/IBM_Personal_Computer. CGA through WQXGA timeline (SVG graphic): http://en.wikipedia.org/wiki/File:Vector_Video_Standards2.svg. High resolution desktop monitors: http://www.pcmag.com/article2/0,2817,2426664,00.asp. Ultra high resolution monitors: http://en.wikipedia.org/wiki/4K_resolution. "Users hate horizontal scrolling": http://www.nngroup.com/articles/scrolling-and-scrollbars/. Overview with nested at-rules: https://developer.mozilla.org/en-US/docs/Web/CSS/At-rule. More tips from Smashing: http://coding.smashingmagazine.com/2013/03/08/tips-tricks-print-style-sheets/. Video from Chris Coyier: http://css-tricks.com/video-screencasts/52-building-a-print-stylesheet/. Using a seperate stylesheet: http://www.webcredible.co.uk/user-friendly-resources/css/print-stylesheet.shtml. Brief summary (Wikipedia calls it a "stub"): http://en.wikipedia.org/wiki/Media_queries. Overview with conditional rules: https://developer.mozilla.org/en-US/docs/Web/Guide/CSS/Media_queries. A fluid example of responsive sites: http://mediaqueri.es. Early article on media queries in responsive design: http://mobile.smashingmagazine.com/2010/07/19/how-to-use-css3-media-queries-to-create-a-mobile-version-of-your-website/. 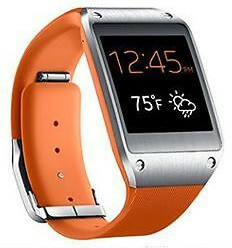 Various phones, iPads and more: http://www.themobilewebdesignblog.com/2011/11/26/best-mobile-emulators-responsive-design-testing-tools/. The "ultimate" list (good vendor-specifics): http://www.mobilexweb.com/emulators. Gaming device emulators (most are free): http://www.pocketgamer.co.uk/r/Android/Emulation/feature.asp?c=38947. CSS to Solve PPI Issue? High resolution device solutions, today and tomorrow: http://alistapart.com/article/mo-pixels-mo-problems.